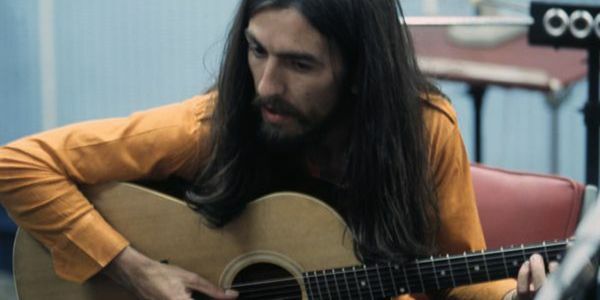 27th November 2020 marks the 50th anniversary of George Harrison's debut multi-platinum triple album All Things Must Pass (the best selling solo Beatle album of all time) whilst 29th November 2021 sees the 20th anniversary of his passing. Either of these occasions would be a fitting time for The Royal Liverpool Philharmonic to stage an orchestral concert to remember him. The RLP have previously performed amazing concerts celebrating the John Lennon Songbook, Lennon & McCartney and in 2017 performed The Beatles' Album Sgt. Pepper's Lonely Club Band for its 50th Anniversary. In 2012 For George approached RLP to perform the music of George Harrison the following year for his 70th birthday. They responded that we had not left them enough time to organise such an event, stating that it took a year to produce a show like this. This January we contacted them again and they replied that they have no plans to do anything to mark either anniversary, citing time and finance (attendance/ticket concerns) as reasons, though surely these must have been factors with the previous concerts. For George have nothing to gain financially from this event ~ we just feel, as we hope you do, that George's legacy deserves to be celebrated and hope that this petition will show the Royal Liverpool Philharmonic just how highly regarded George's music is and that there is significant interest in such an event, encouraging them to take the matter seriously while there is still sufficient time for a show of this nature to be put together. Your street address will not be made public and is required only to prevent fraud. marked for the attention of Mr Michael Eakin ~ Chief Executive. Thank you very much for signing and sharing. To move things on i contacted Mrs.Harrison. She asked us to step back for now and assured us that she will take up the reins when the time is right. Therefore, the Petition is now closed. We have a small private Facebook Group called 'Love For George'. You have shown you do so if you would like to join please message me on the For George Facebook page within the next week.